One of the most common questions we’re asked is, if you were going to update an older boat with new technology, with what or where would you start. If you owned a beautiful 1979 32′ Spectra that was being refurbished, the choice would most definitely be power train. If you were looking for moderate power as well as weight savings, durability, and efficiency, there just isn’t anything today that competes with the LS based GM engines. And if you wanted a place to do the install, the Boostpower USA facility in sunny southern CA is home to a one stop engine, electronics and rigging facility capable of handling all of the latest technology. The results have garnered the interest of several boat owners including the latest one to approach the Boostpower USA team. His goals are improved mileage, superior engine manners, as well as improved ease of use with modern full NMEA2000 technology . 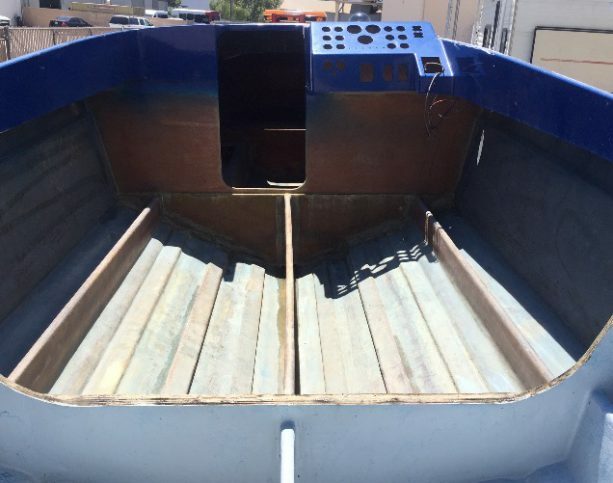 Boostpower started the transformation by gutting the boat, stripping it down to a bare hull, filling in the transom, and creating an all new canvas to work their magic with. 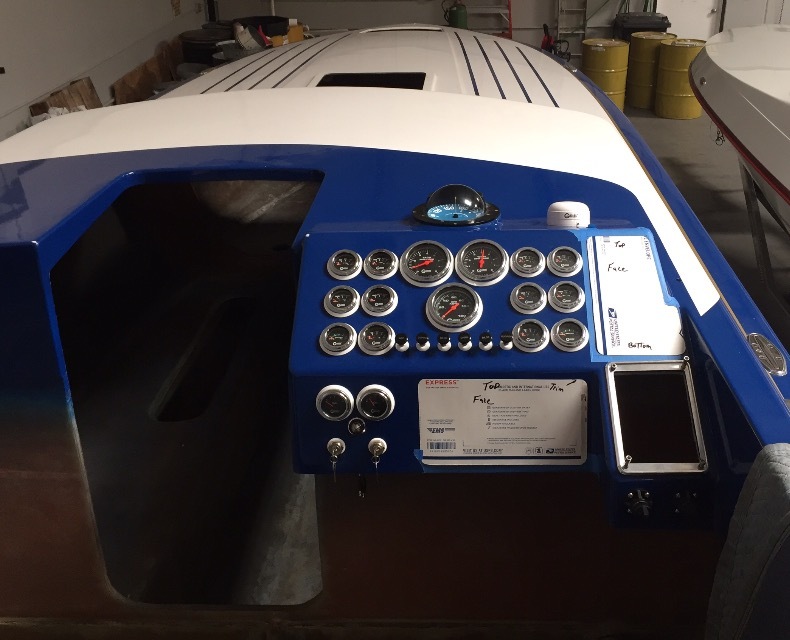 Boostpower owner Alexi Sahagian points out that while they have done LS conversions before, by utilizing the AEM Series 5 ECU engine management technology they can tie in all aspects of the boat, from the electronic throttle and outdrive trim controls, all the way to the new Hardin Marine trim tabs. No more old cables in this boat. It will use pilot by wire technology, a system, Alexi points out, that he has been helping develop for years. The boat’s many functions will be displayed on the boats modern, flat panel surface screen, doing away with a slough of gauges. BoostPower is currently assembling their proven LS3 410 cubic inch engine packages that make a very understated 575HP each. The engine will be fitted with state of the art Hardin marine serpentine drive system, featuring a closed cooling system that utilizes water jacketing through transom stainless steel headers all connected to a Bravo XR stern drive package. NEGLIGENT OPERATIONS: THE FIGHT FOR A NOT GUILTY VERDICT!